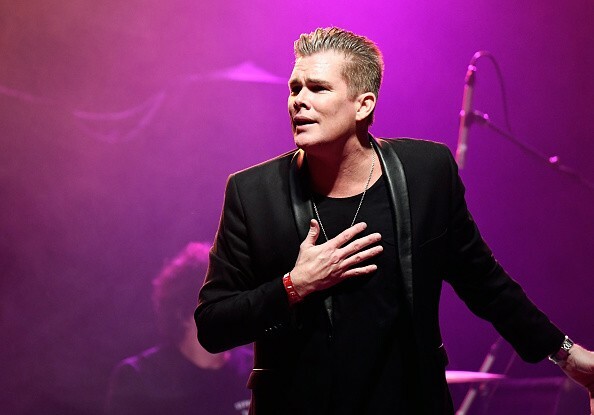 “Sugar Ray” frontman Mark McGrath just gave fans a shocking update regarding his health. During a recent interview with Daily Mail, the musician said that he’s going deaf and is already in need of hearing aids. McGrath said that his hearing became impaired after years of being on the road and performing just two feet in front of loud instruments. “So, high frequencies, I can’t hear anymore,” he said. “I’ll be listening to people and they’ll tell me their names and I can’t hear anymore,” he added. McGrath also admitted to feeling scared because his job requires that he could hear. As such, the singer is worried about his future in the music industry. At present, McGrath is on tour with his bandmates, and he has been urged by audiologists to wear in ears, which is a type of hearing aid, to help him during his performances. According to The Singer’s Workshop, in ears are oftentimes used by live performers so that they can hear themselves on stage. They are also used to help block out background instruments that may be detrimental, and they also help prevent performers from hearing noises in the room. McGrath said that he has been avoiding the use of an earpiece for years. So this could be one of the reasons why his hearing has been damaged. Despite his current health struggle, the former “Celebrity Big Brother” contestant still managed to joke around during his interview. He said that he decided to become a musician because he didn’t want to worry about his health, but his perspective has shifted in recent years. Some of McGrath and Sugar Ray’s hit songs include “Every Morning,” “Fly” and “Someday.” The American rock band was formed in 1986.